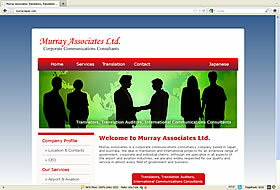 Corporate communications consultancy company based in Japan and Australia. Also offers translation services. I am very pleased with the result and would like to contact you for further changes to the site in the future.